We believe that many of us would agree that the best defense in youth football is one that can tackle. After getting the fundamentals of tackling down, we think that a tackling circuit is a great addition to any practice plan. It allows you to get a maximum number of reps in a relative short period of time by splitting up into small groups and running multiple drills at the same time. 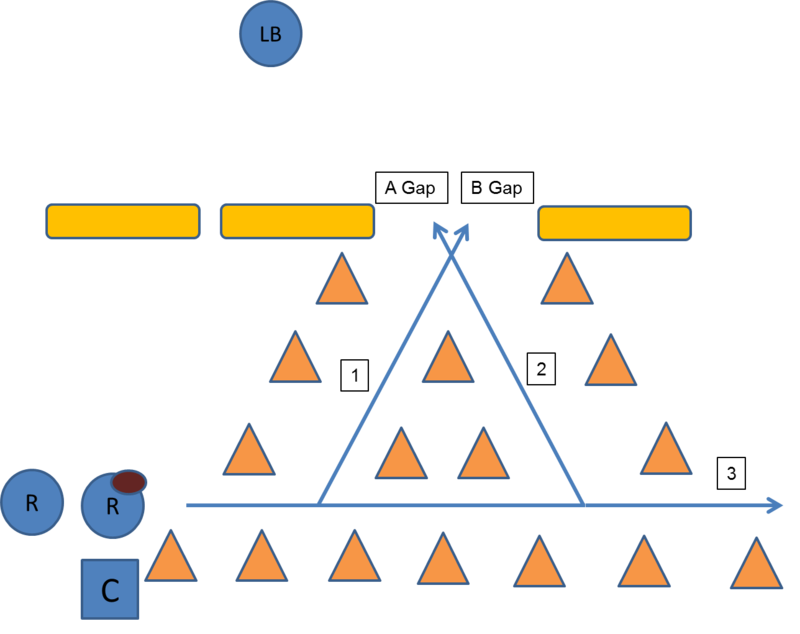 Concerning groups, we suggest that you create them with size and abilities in mind. 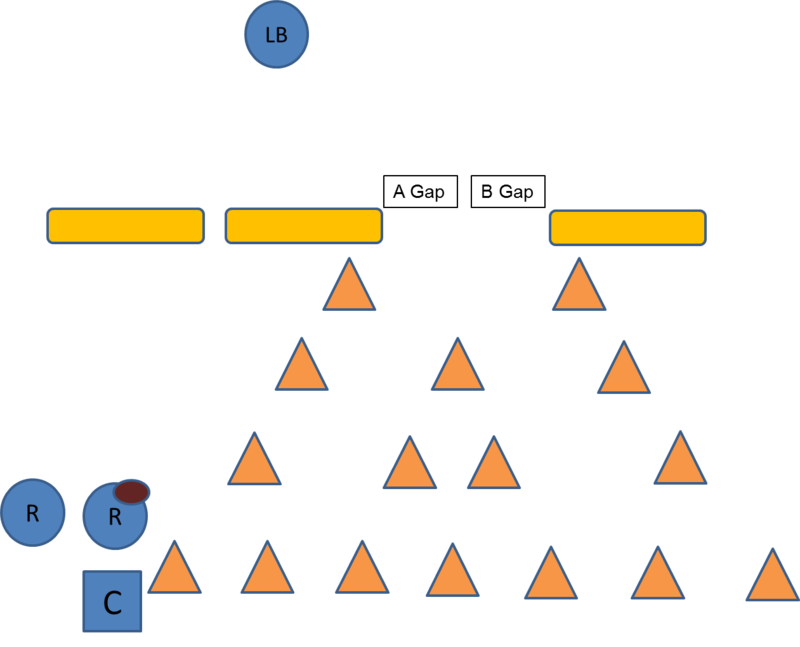 Also, to save time and possibly even frustration we suggest that you know what the groups will be prior to your practice so that you don’t have to waste time splitting your players up. Because we don’t like to have our players stand idle for too long, we have put our own little twist on the drill. Two lines on the base line for Guards and Forwards/Centers (Defense). Two lines on the elbows for Guards and Forwards/Centers (Offense). Coach at the free throw line with a basketball. The first player in each defensive line positions themselves about midway up the lane. Coach takes a shot making sure to try and miss. Defensive players block out their offensive player and try to secure the ball. Offensive players work to beat the block out to get the ball. Rotate players after each shot. First team to 20 rebounds, offensive or defensive, wins the drill. We switch defense and offense when the combined score of both teams equals 20. One of the difficulties Youth Football Offensive Line coaches face each year is getting their young Offensive Lineman to fire off the ball. A youth football drill that helps address this challenge that has been a staple in our practice plans through the years is the tennis ball drill. Another drill that we recently came across comes to us from Coach Kyle Mlinek on the Dumcoach.com forum. 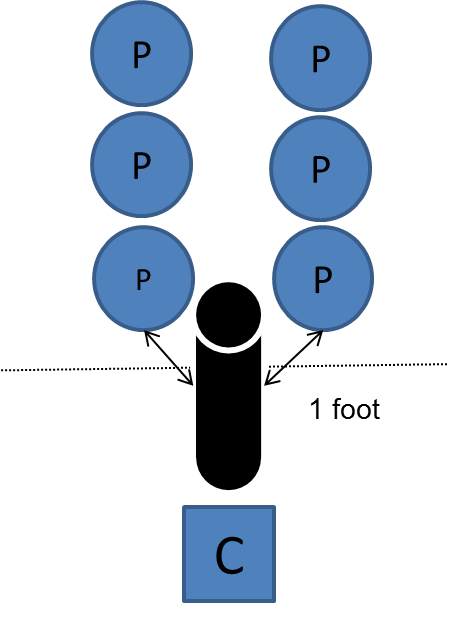 The name of the drill is the Topple Drill and much like the tennis ball drill its purpose is to help players quickly come of the ball. Create 2 lines with players on either side of the Standup Blocking Dummy about 1 foot way. On your Cadence, each player will try and topple the Dummy first. Once done, each player rotates to the other line. 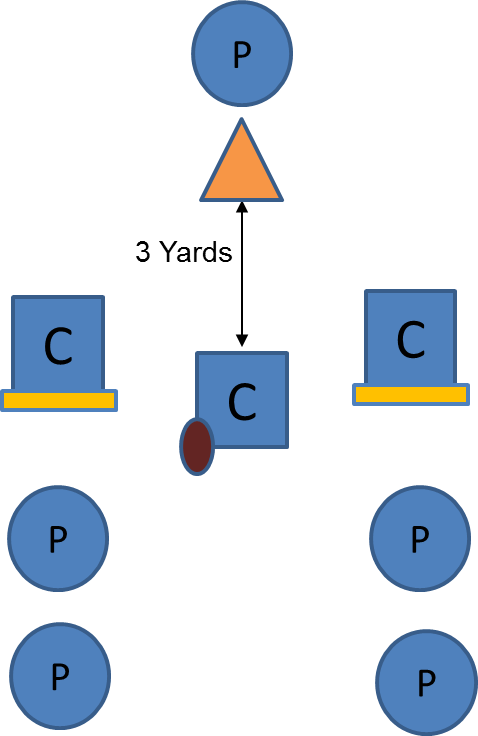 If you are looking for additional youth football drills for your team, we encourage you to take a look at the CLYFL Youth Football Drill Book. It consists of 85 drills covering many aspects of the game. 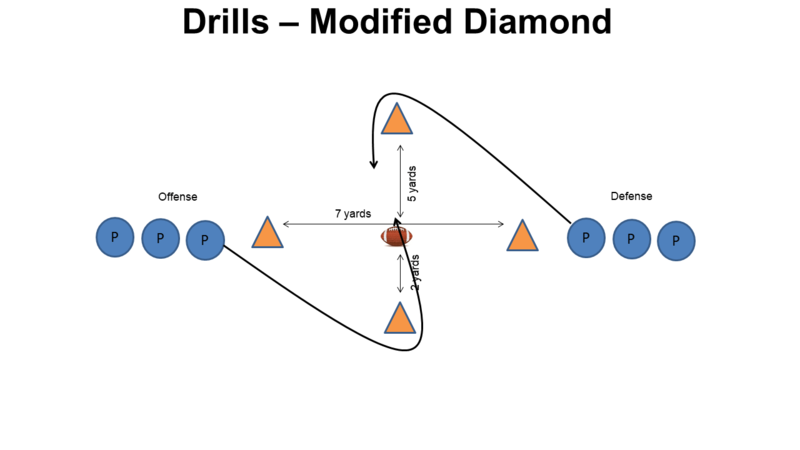 If you need more drill ideas, please take a look out our YouTube library of football drills. Our library includes drills for Offense, Defense, and Special Teams. We have even included some Flag Football drills. 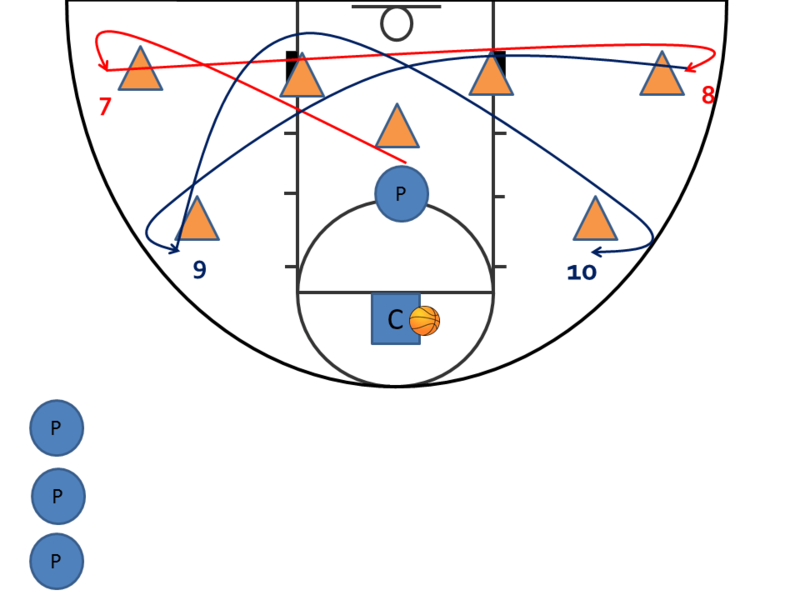 In our previous Youth Basketball Drills blog post we shared our tweak to the 6 Shot Circuit Shooting Drill called the 10 Shot Circuit. In this post we are going share a simple Rebounding Drill that over the years has become a staple in our practices. Line up players in a single file near half court from the shortest to tallest player. First player goes to the rebounding position in the middle of the lane. Second and third players line up on the elbows as shooters. Coach is on the wing with the basketball. 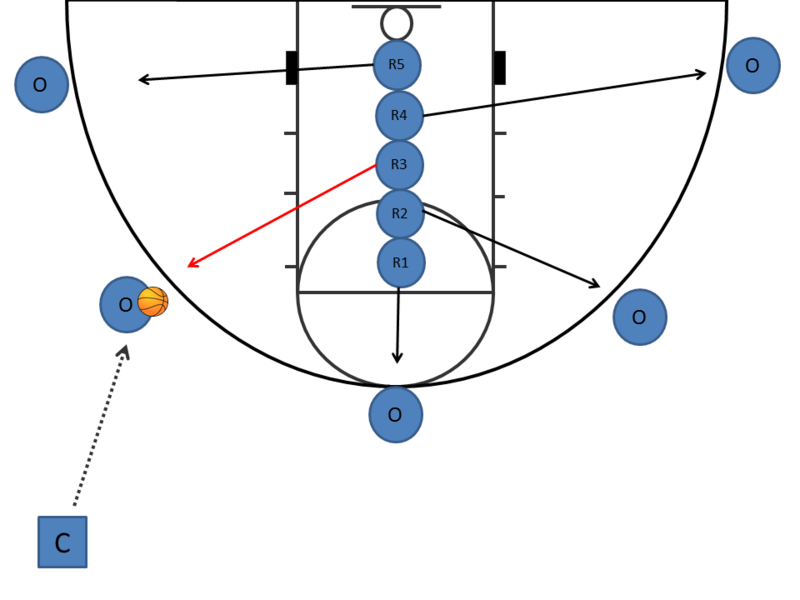 Rotation is rebounder to end of the line, shooter to rebounder, shooter to shooter, next player in line to shooter. Coach passes to one of the shooters who then takes a shot. Rebounder blocks out the opposite shooter who is trying to get the offensive rebound. Note: If the shot is made, just treat it as a miss. If the shooter/offensive player gets the rebound, the rebounder must do 5 push-ups on the side of the court prior to rotating to the end of the line. To make the drill more challenging require the rebounder to let the ball hit the floor before securing the rebound. This will put an emphasis on the rebounder moving their feet. Rebounder should find the player first, block out, and then go get the ball. Emphasize proper spacing from the basket. If the rebounder is too close to the basket, the offensive players has the advantage. Teach the rebounder that if they get pushed under the basket to spin putting their rear-end on the offensive player’s rear-end pinning them under the basket. We add 4 cones to the 3 used in in the 6-shot circuit above. 2 in the short corner and 2 on the wing. 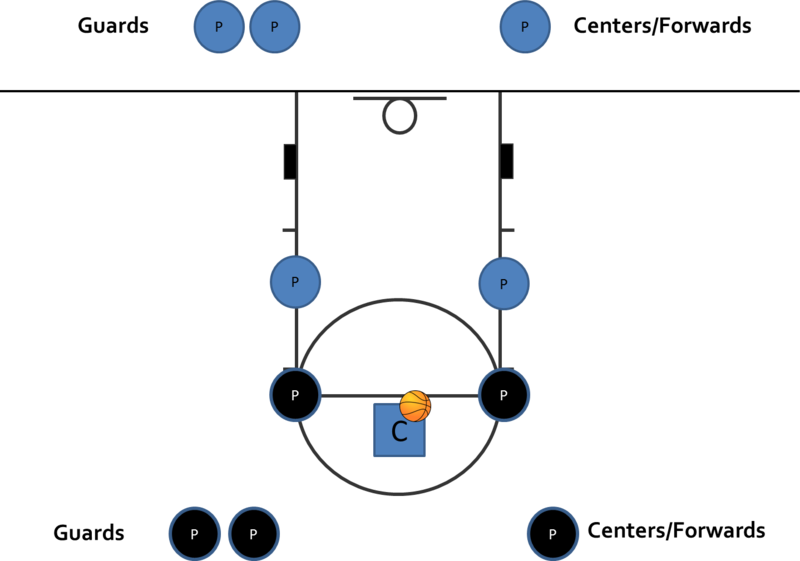 Execute the 6 shot circuit as normal. After the 6th shot, the player sprints to the short corner for shot 7. After shot 7, the player sprints to the opposite corner for shot 8. After shot 8, the player sprints to the wing position on the opposite side of the floor for shot 9. After shot 9, the player sprints to the opposite wing for shot 10. The variety of shots being practiced. Weak hand development with both the drop step layup and hook shot. Works on shooting on the move. Have a player or coach rebounding each shot and passing it back to the coach on the foul line. Make sure players are going around the cones and not short cutting the paths. Emphasize using the weak hand on both the drop step and hook shots. On jump shots players should be catching the ball and squaring up prior to taking the shot. By squaring up we mean get their shoulders and feet pointing to the basket. To be a good basketball player it is critical that a player learn to shoot and dribble with both hands. A simple youth basketball drill for Weak Hand Development is what we call the Weak Hand Layup Drill. The purpose of this drill is to work on dribbling and shooting layups with our weak or non-dominant hand. 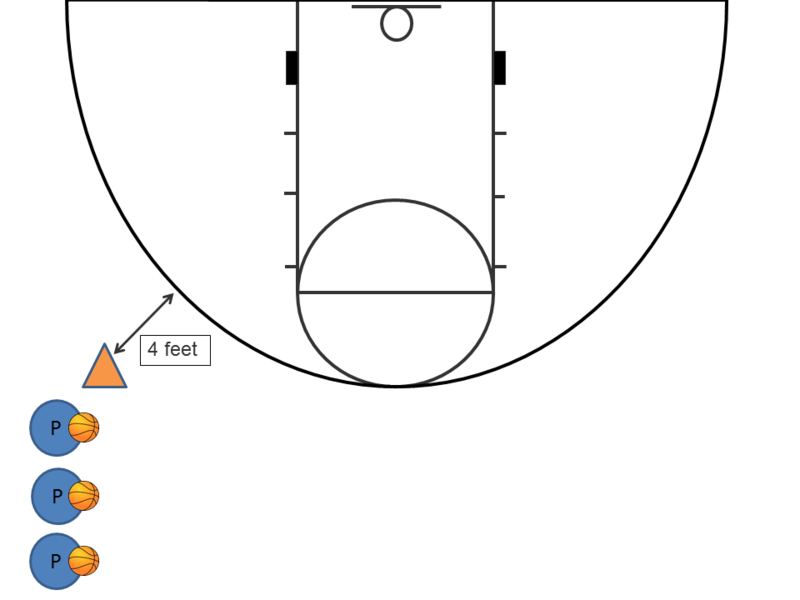 Place a cone on the wing 4 feet outside of the 3 point arc. Note: For very young players you can move the cone closer and for older players you can move it out a little more. Players line up behind the cone with a basketball. Note: You can split your team up onto multiple baskets and turn this into a competition to see which team/group makes the most layups in a given time period. On Go the first player in line dribbles to the basket with their non-dominant hand and executes a layup with the same hand. They then get their own rebound and dribble with their non-dominant hand back to the end of the line. As soon as the player in front shoots their layup the next person in line goes. 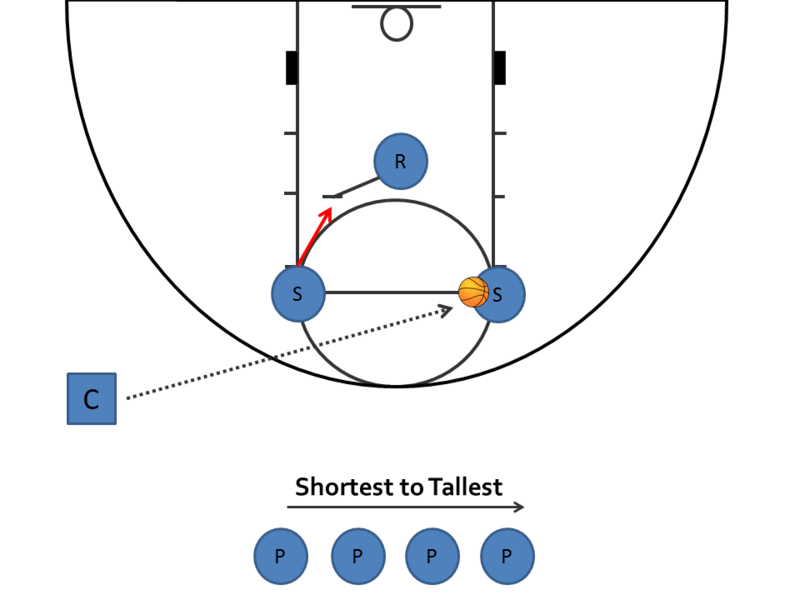 This drill should be done for a set period of time like 2 minutes with the coaches counting each made layup. If you choose to make this a competition, losers can do 5 pushups or sit ups. Try and get to the basket with as few dribbles as possible. Go above the block to get a good angle to the basket. Make sure the player is going off the correct foot when shooting the layup. Left hand layups should be off the right foot and right hand layups should be off the left foot. Aim for the top corner of the square on the backboard. Dribble all the way back to the line.